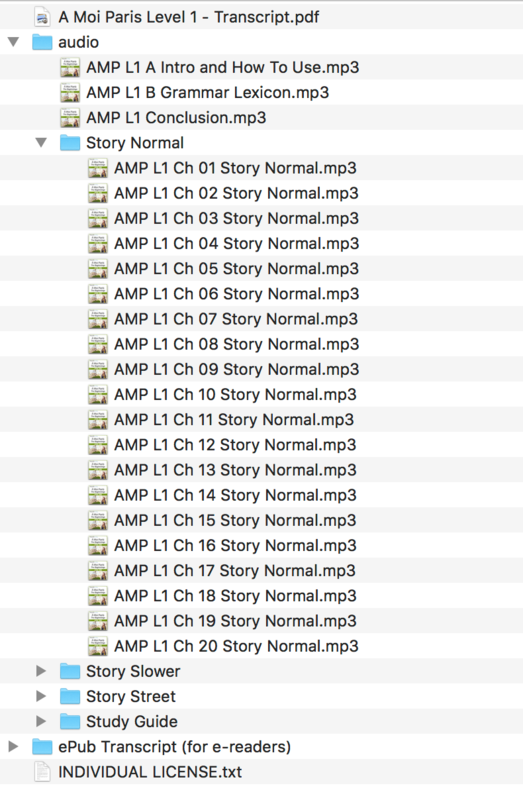 If you'd like to use our audiobooks on a CD, a USB key for your car or on a generic MP3 player that is not supported by our free French Today apps, then you can download all the individual audio files in industry standard MP3 format and transcript in PDF format. 1. Log into your Account using your email address and password. 3. 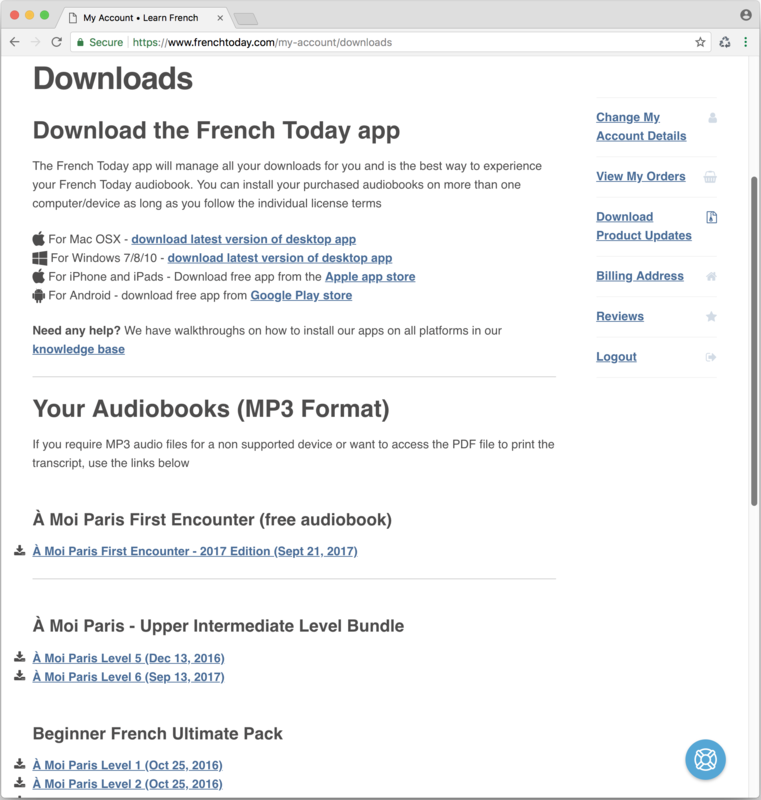 Click on an audiobook to download a .zip file containing all the audio and transcript files (below is an example of the À Moi Paris Level 1 audiobook in MP3 format). 4. You are now free to use your CD burning software to create CDs, copy the audio files to a USB key for you car or move the files over to your MP3 player using the player's recommended software/method. NOTE: the download is large, please give enough time (up to 10 minutes depending on the speed of your connection) for the download to complete.